And this year my family and I decided to make this giant Santa-hat to drag around the countryside. The Santa hat reminds me of a deserted hermit crab shell. Summer is starting and schools are closing in Australia. And like last year, I’m stepping away from the keyboard to recharge my creative batteries and annoy my family for the entire summer. Can’t you just hear them groan? Yes, it finally rained! Hats off for the rain dance, peoples. I’d like to thank you all for the amazing encouragement and support you’ve shown me throughout the year. I sincerely wish you and your loved ones a wonderful Christmas and a fantastic new year for 2017.  In case you miss me terribly (not) you might find me on Instagram, twitter, facebook should I get into WiFi range while on our road trip, dragging the Santa-hat, dodging long-awaited summer storms. So, until next year, enjoy & be safe. Have a great Christmas, and thankyou for your support this year too. Have a good Christmas, my friend, to you and your wonderful family. Thank you Rosie, I look forward to finding you on IG. Thanks for your visits this year, its been appreciated.